Pay-it-forward pizza joint | Everything Delicious. This Philadelphia pizza joint is bringing the “pay-it-forward” philosophy to life with a super simple idea. 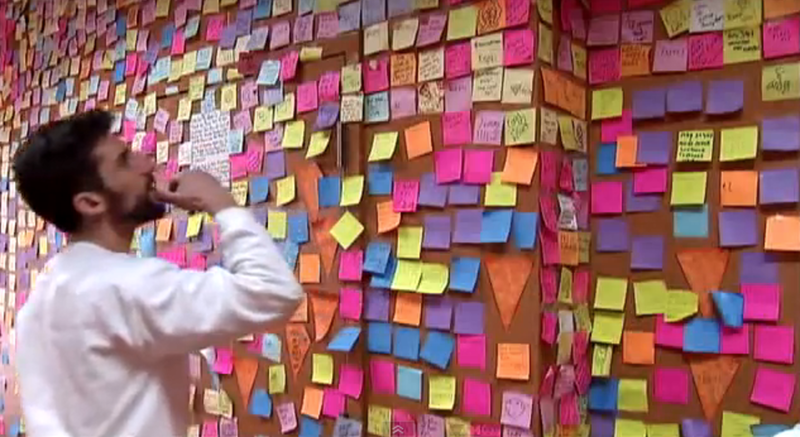 All it takes is 1$ to put a post it on the wall for the next homeless person to use and redeem a slice of pizza. This way, Rosa’s and their customers can feed the city a daily taste of hope and kindness. Since that first pay-it-forward slice, Rosa’s has provided nearly 10,000 pizza slices to needy Philadelphians. Can you imagine if we could do this on a bigger scale? This entry was posted on May 22, 2017 by Pauline Rosen in Uncategorized.